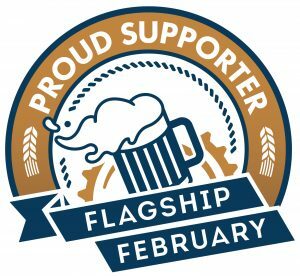 Day two of my Philly Beer Week trip began with a walking tour of the Old City part of town with beer historian Richard Wagner, who runs the fabulous Pennsylvania Brewery Historians website. 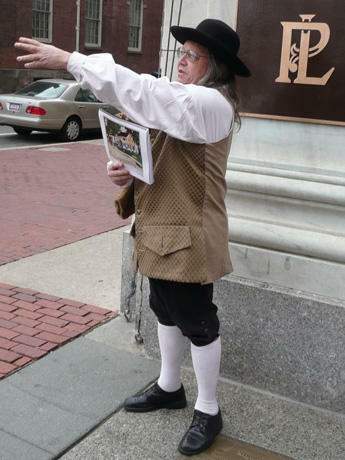 With Richard Wagner in colonial grab, we began near Independence Hall. 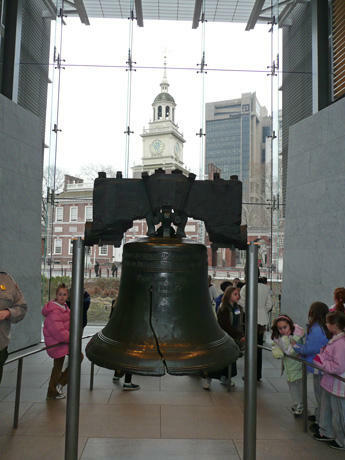 The Liberty Bell, with Independence Hall across the street. 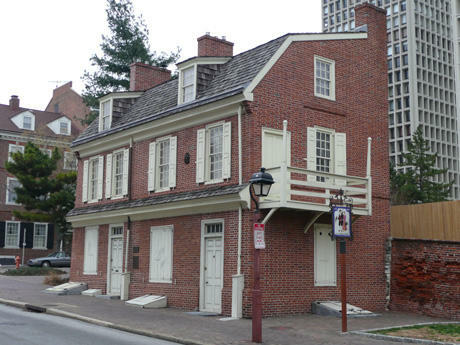 We walked around the cold, crisp streets of old Philadelphia as Wagner pointed out where old breweries and taverns had once been located, some with markers and some without. 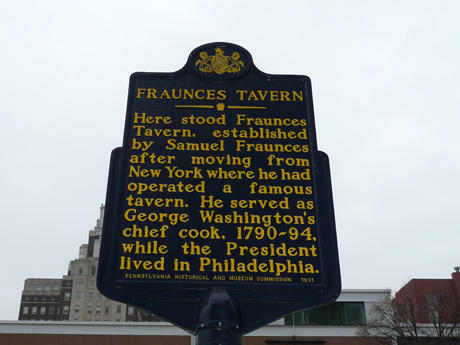 Here, a sign indicated where the famous New York tavern owner established a Fraunces Tavern in Philadelphia during George Washington’s stay while President from 1790 to 1794. 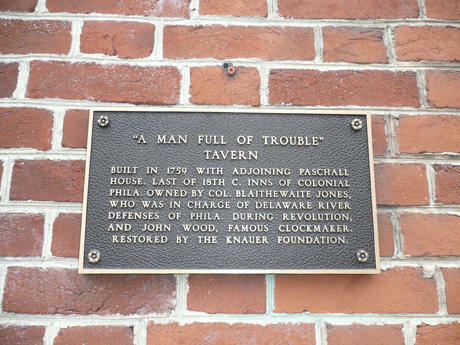 The still-standing Man Full of Troubles Tavern, the earliest standing colonial pub still standing. It was built in 1759, according to the historical marker. 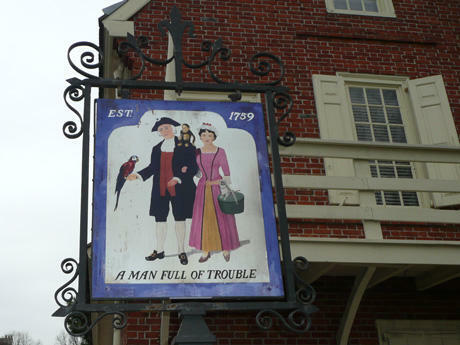 The Man Full of Troubles Tavern sign showing some of the many troubles that could befall the average man. 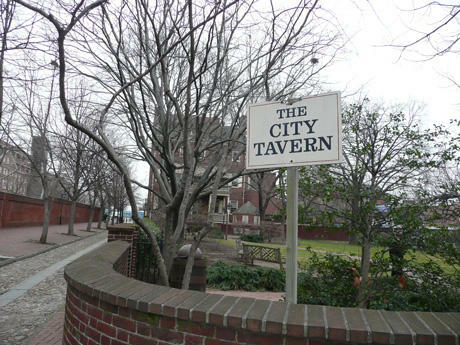 The City Tavern, a faithful reproduction of the original that was finished in 1976, just in time for the nation’s bicentennial. 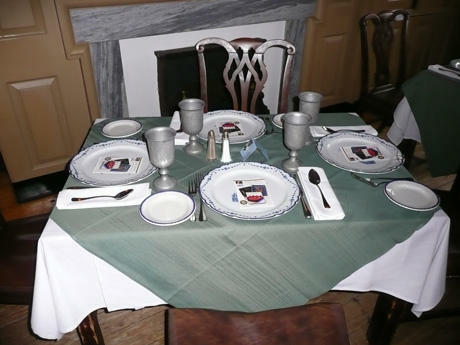 Inside, place settings, like every other detail, are as traditional as possible. 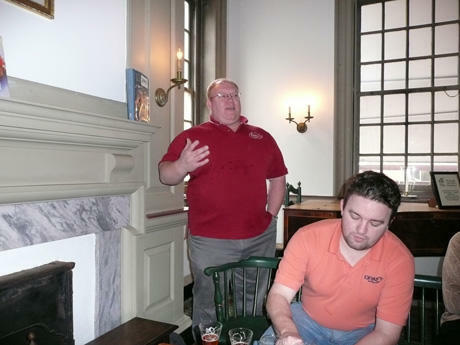 Tom Kehoe, of Yard’s Brewing, explains the beers available at the City Tavern, which he created. 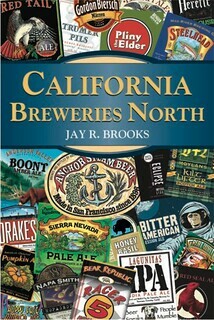 A sampler of four available beers. 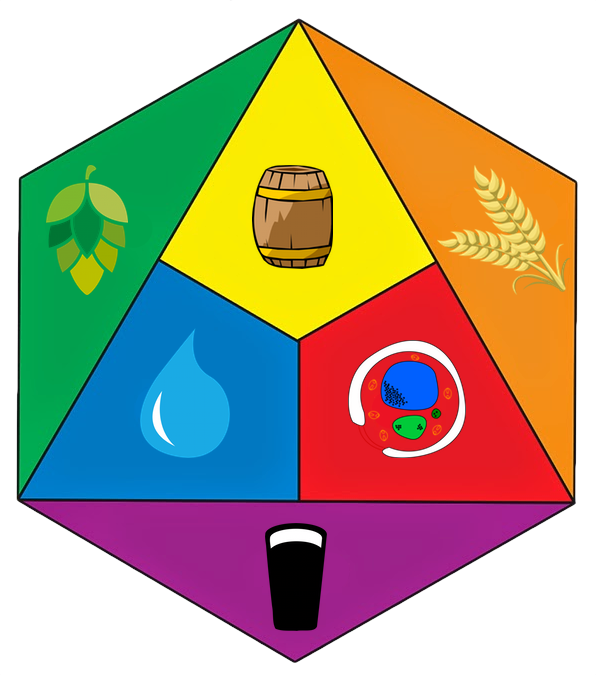 From left: Philadelphia Pale Ale, Thomas Jefferson’s Tavern Ale, George Washington’s Tavern Porter and Poor Richard’s Tavern Spruce Ale. 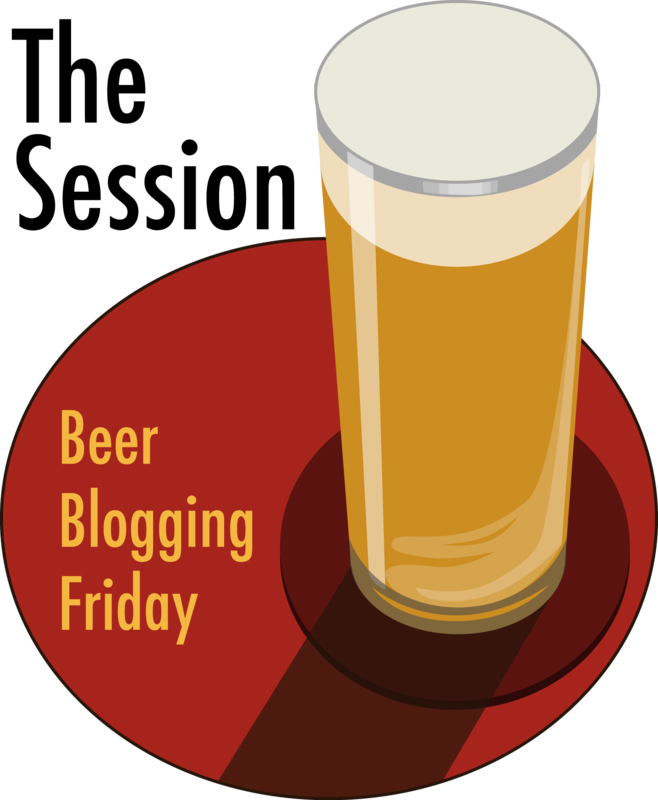 The later three were, of course, brewed exclusively for the City Tavern to be modern interpretations of the traditional colonial-era styles. 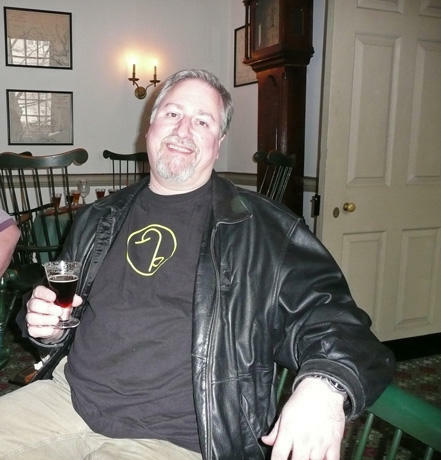 Me with a glass of George Washington’s Tavern Porter.